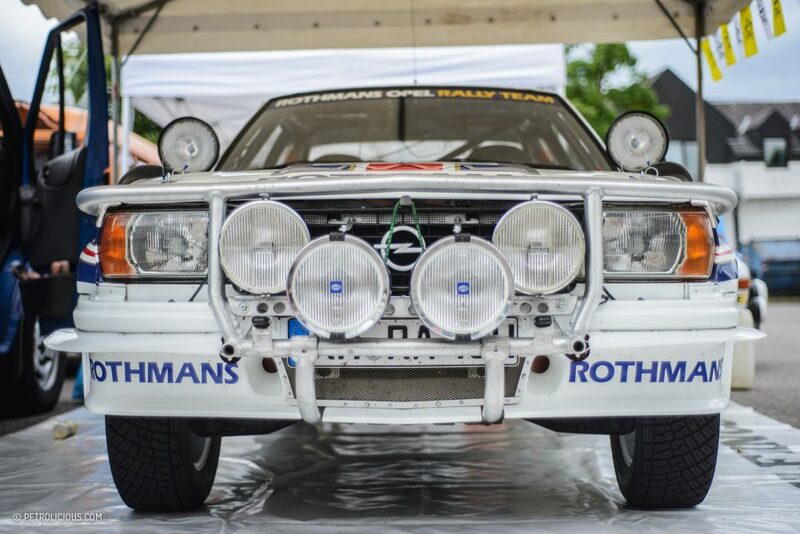 Although Opel has a rich history in the world of rallysport, they only won one drivers’ world championship title, in 1982. 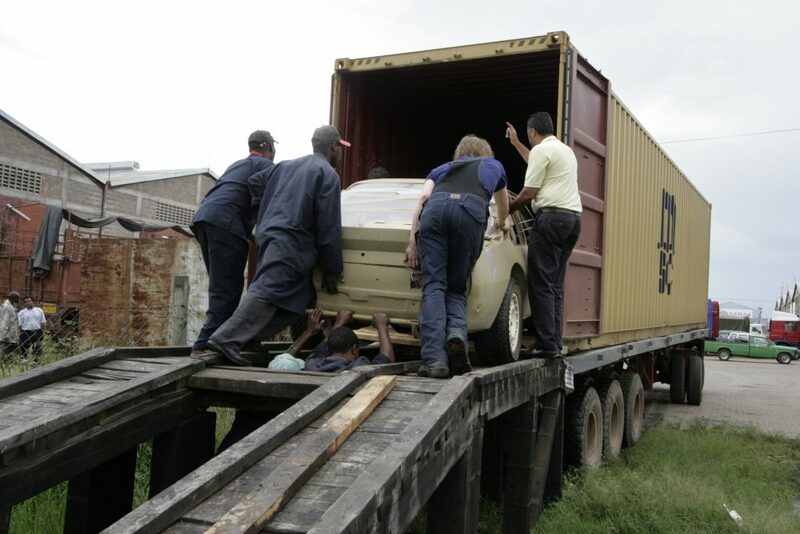 The winning car was not exhibited after this feat, nor was it safely stored in Germany; it was sold, and over the years it disappeared in Africa. Even Opel believed that it was lost forever, until two fans discovered and restored “Django” (more on that later) back to his former glory. 35 years ago, on the 1st of November 1982, Walter Röhrl and Christian Geistdörfer climbed on top of their tortured but victorious Opel, both of them with a glass of Moët & Chandon. 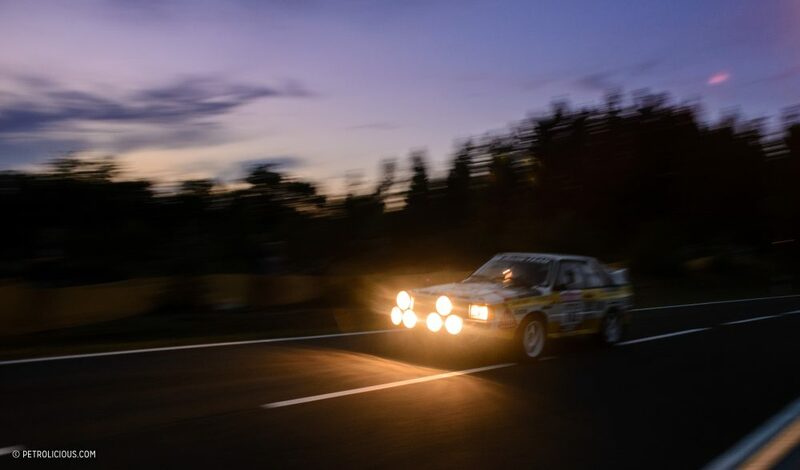 At the end of a tight battle against Michèle Mouton and the Audi Quattro, the two Germans in the Ascona celebrated victory on the 14th Marlboro Rallye Cote d’Ivorie, and along with it the WRC Drivers’ and the African Rallye Championship title. 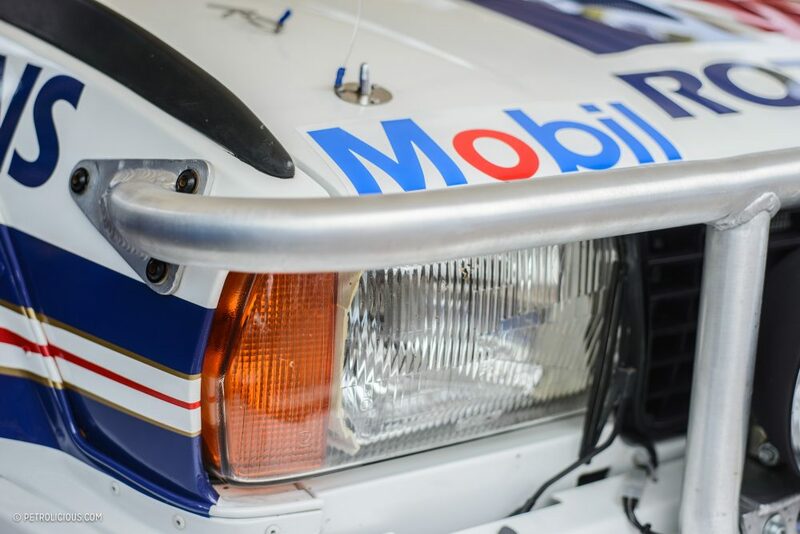 It was a surprising victory, as even Röhrl didn’t believe it could be possible to beat the all-wheel drive, turbocharged Audis on a rallye like the Cote d’Ivoire, a merciless race on the roughest jungle paths of Africa. The Opel Ascona 400 race car debuted a few years prior, on the 1980 Rallye Monte Carlo with Anders Kulläng and Jochi Kleint. 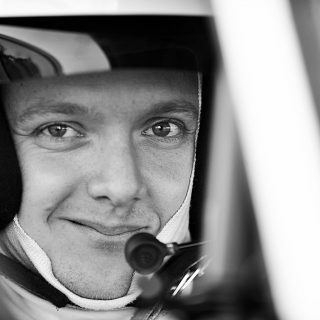 Kulläng achieved the car’s first WRC win one month later in Sweden as a private entry using the same works car used in the Monte Carlo. The über-Opel’s development took place in the company’s Rüsselsheim HQ with the involvement of acknowledged tuners, Irmscher, Cosworth, and Matter. 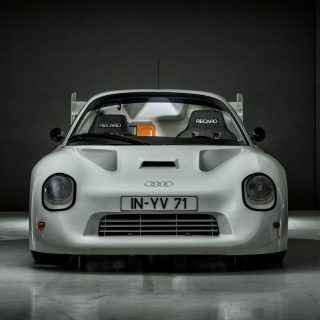 Irmscher designed the exterior, Cosworth delivered the 16-valve, twin-cam cylinder head for the over-bored 2.0-liter engine, and Matter was responsible for the strengthened bare shells. 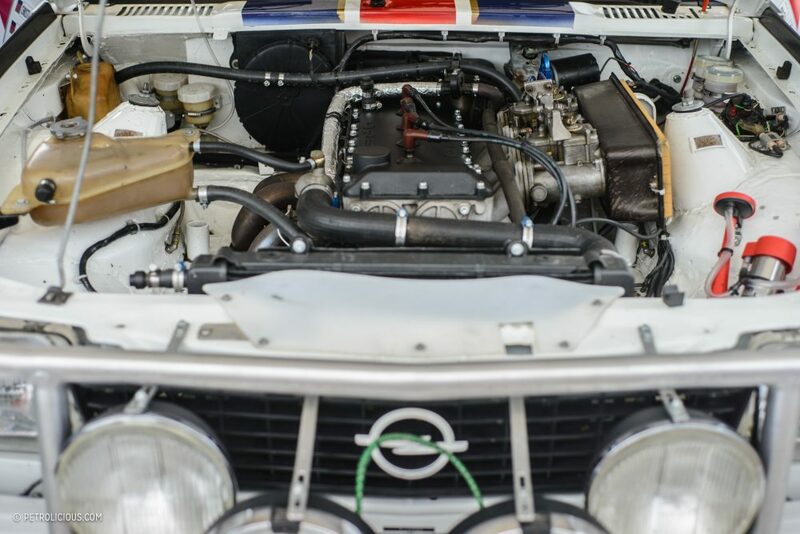 The naturally aspirated power source received larger pistons and a crankshaft derived from the 2.3-liter Opel diesel engine. 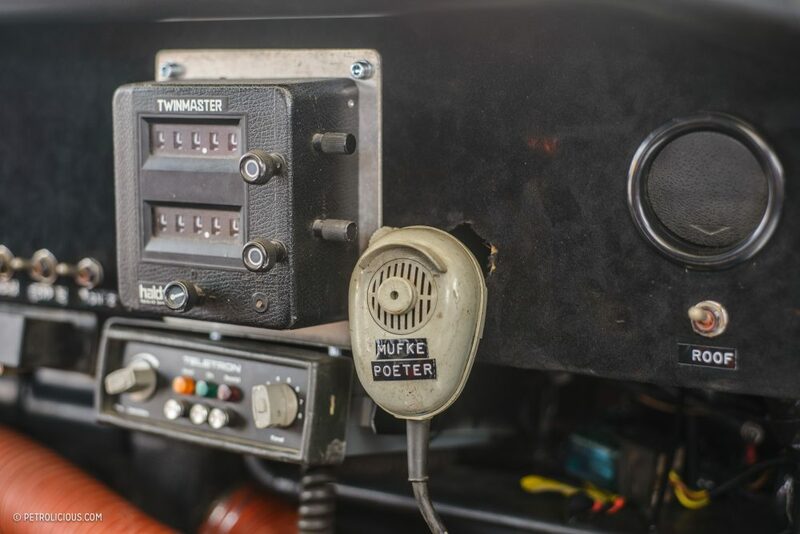 Fed by 48mm Weber carburetors, this setup was capable of around 240 horsepower, with later versions reaching up to 280. 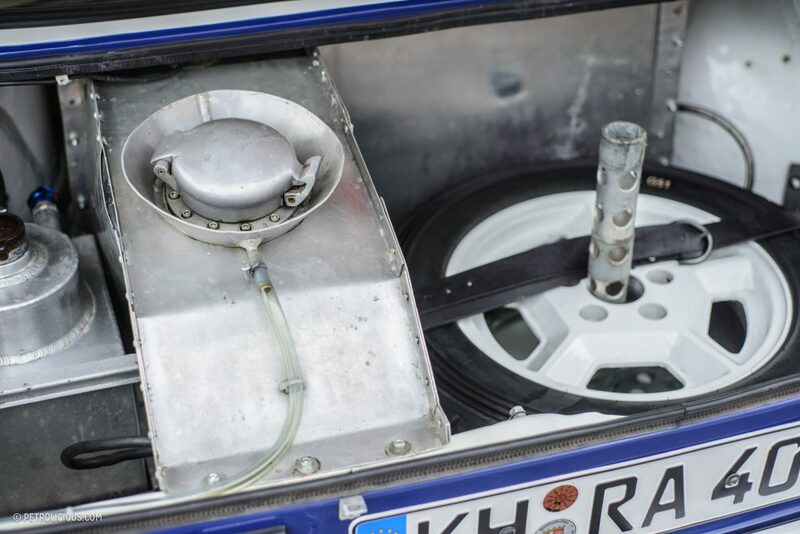 In comparison, the street cars were fitted with Bosch injection and produced only 144 hp. 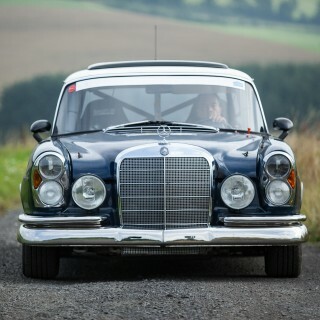 The “400” in the car’s name stands for the number of road cars produced in the Antwerp factory to match the Group 4 homologation rules. Ok, back to racing. 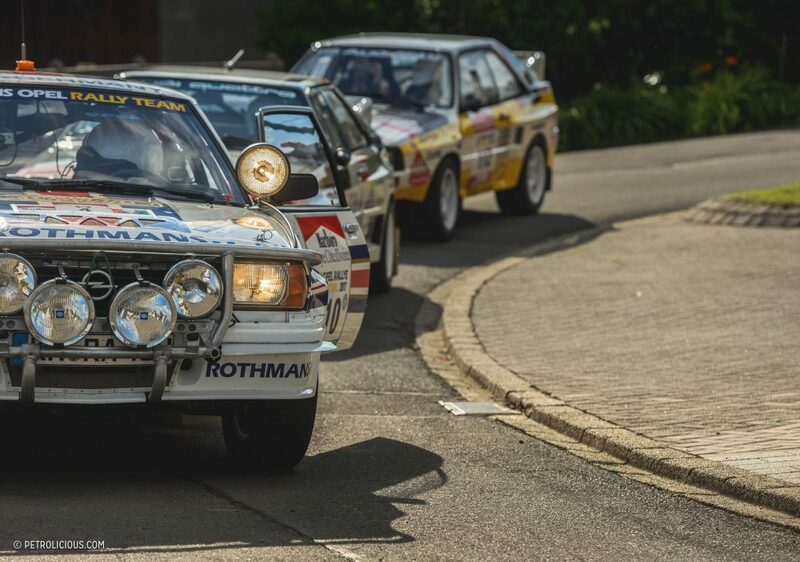 The Opel versus Audi, Röhrl versus Mouton duel ruled the 1982 season with Röhrl winning the season opener at Monte Carlo, and Michèle clinching victory in Portugal, Greece, and Brazil. 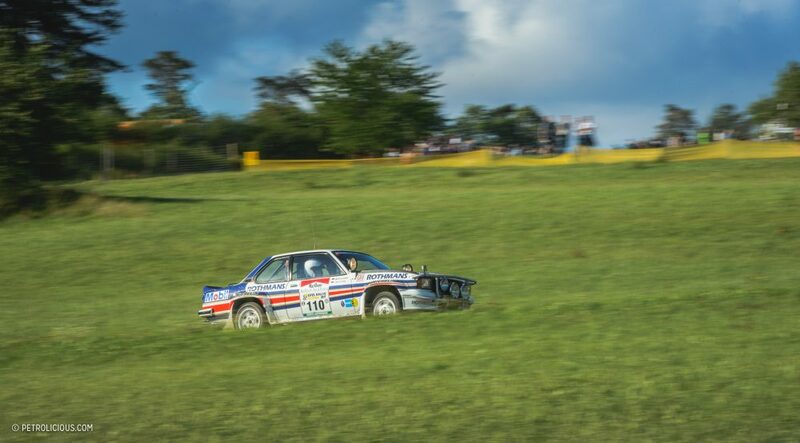 The rear-wheel drive Ascona was already a bit outdated compared to its newer rivals, but thanks to Röhrl’s precise, steady performance, he lead the championship when the field arrived on the Ivory Coast. 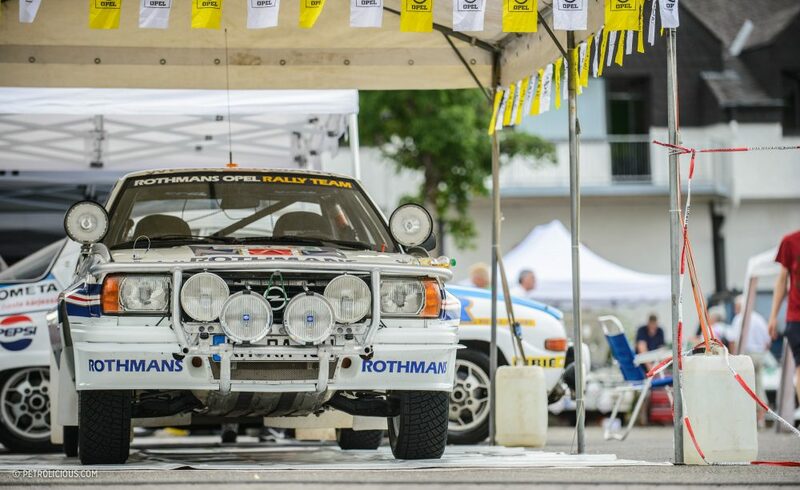 He mentioned many times that he was not keen on the continent’s circumstances, but the Opel team convinced him to participate anyway. 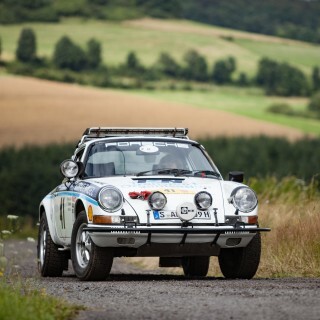 To keep his visit as short as possible, and due to other official duties, Geistdörfer and Berglund did the reconnaissance runs of the 5,000 grueling kilometers alone and made the pace notes without Röhrl. In his recollection, Walter wrote that he flew to Abidjan without many expectations and was a bit uninterested in the race, while Audi Sport focused on bringing Michèle another victory. In car No.5, Roland Gumpert, the team’s chief engineer (who later designed the Gumpert Apollo supercar), sat next to Hannu Mikkola to arrive on site as fast as possible in an case of any emergencies with the car. 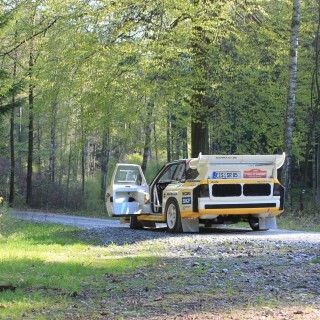 Stig Blomqvist (who would go on to become the 1984 World Rally Champion), also followed the rally route outside the competition as extra back-up. 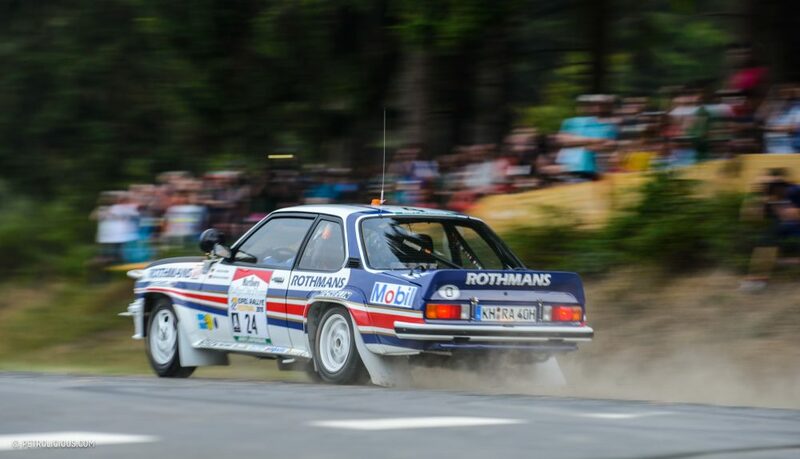 Before the race, the penultimate event of the season, it seemed that Audi would win the manufacturers’ title, but there was still a slight chance for Röhrl to hold the first place in the drivers’ standings. 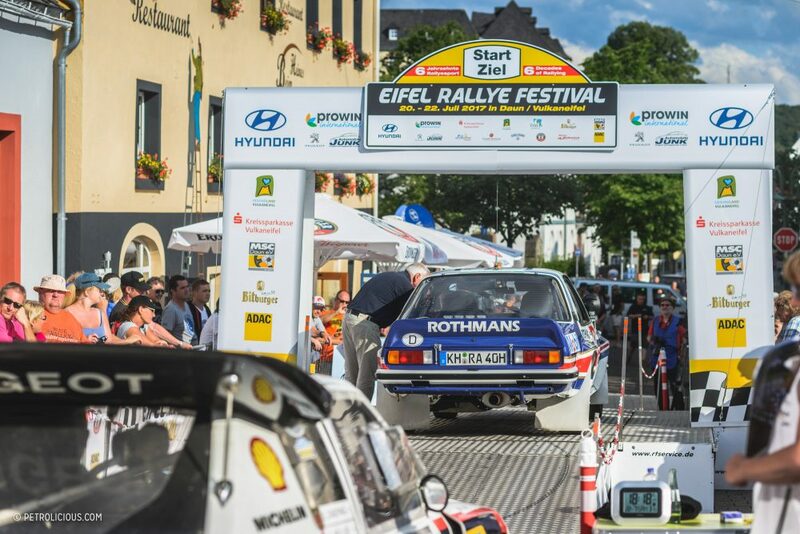 The rally started according to these expectations, and Michèle built up an early lead of more than one hour on the first two days. 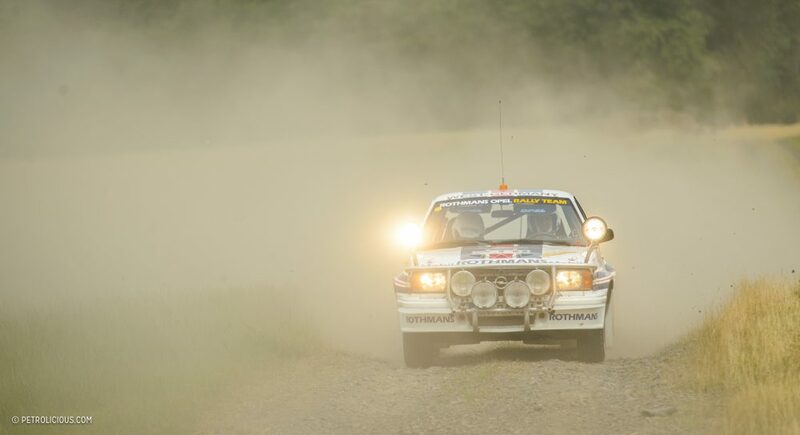 Röhrl suffered from suspension problems and lost his back-up car (Johansson and Berglund) due to engine failure; from the 51 entrants, only 11 started the third, 1,700km-long stage, where technical issues plagued Mouton’s Quattro. 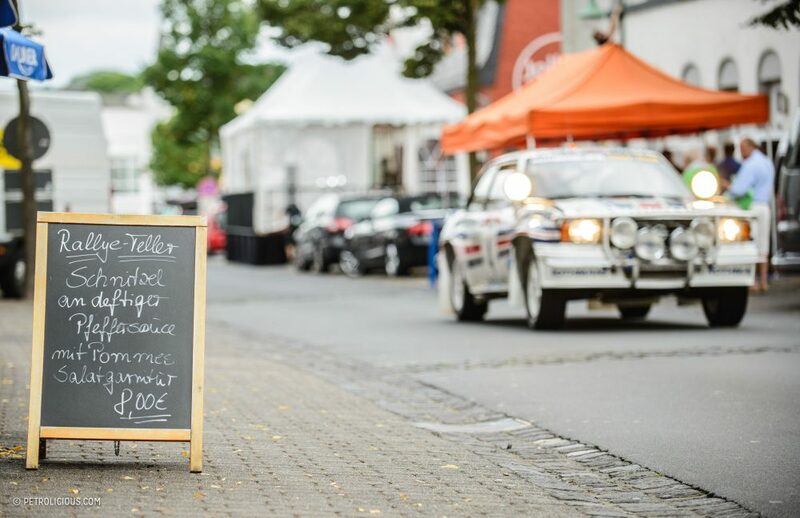 She lost the majority of her time advantage from this, and at the start of the next, last stage, her Audi struggled again and the maintenance work consumed even more of her lead time. 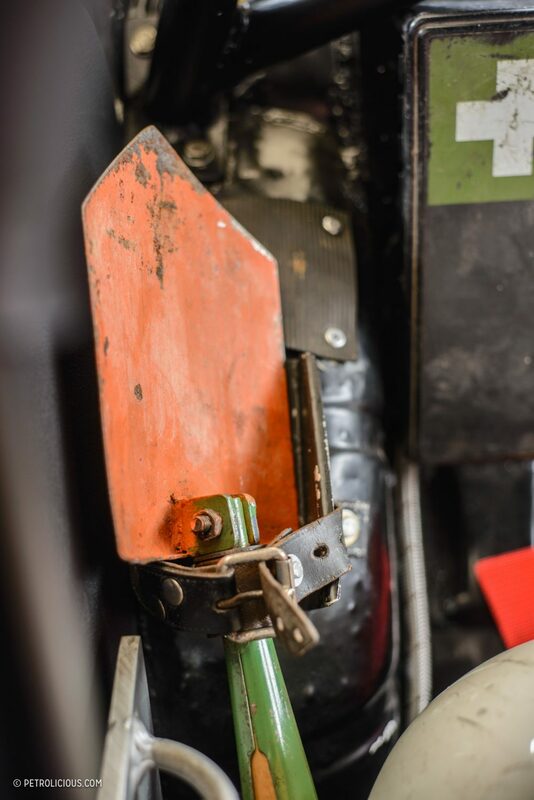 Driving under immense pressure, she crashed twice; her co-driver, Fabrizia Pons lost her itinerary in the first accident, therefore they made the second mistake, which ruined the Audi. 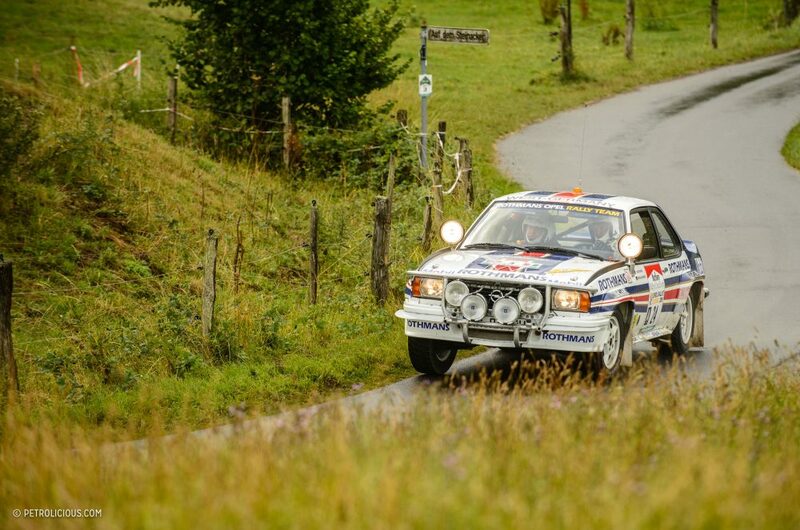 Geistdörfer heard on the radio that Mouton was out and asked his driver to slow down, but Röhrl kept pushing until the Ascona rolled onto the finish ramp, and for the second time since 1980 the two became world champions! 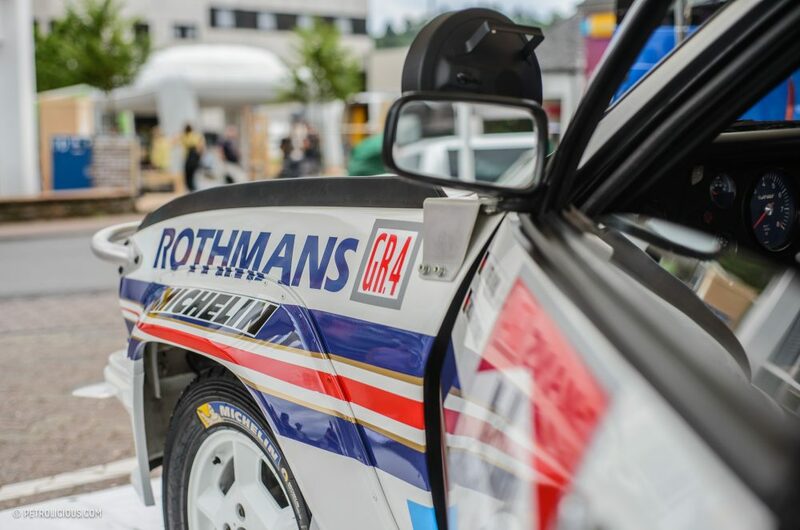 Today a WRC-winning car would be proudly showed off to the public and would be on display in a museum, but back in the eighties it was much different. 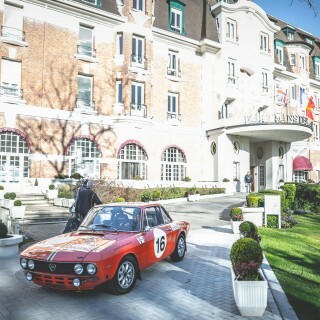 The 1982 Ascona 400, marked with the chassis code “RA40” (which means “Rohkarosse Ascona No. 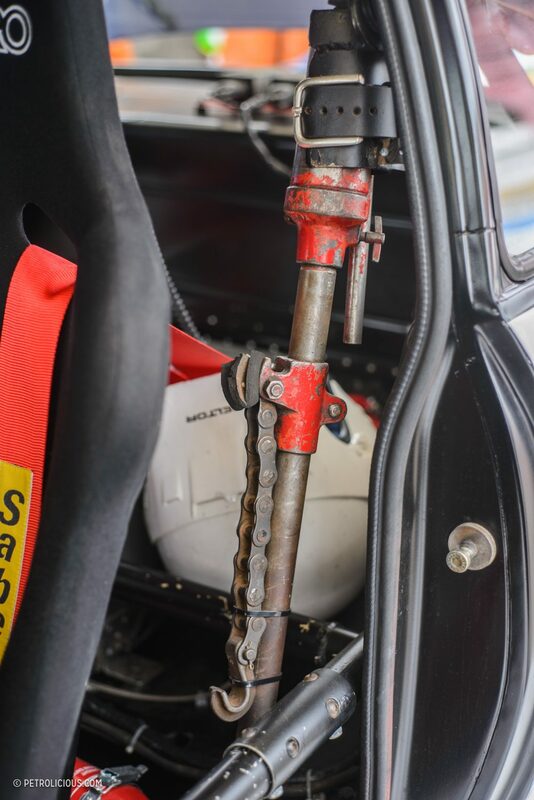 40”) was specially designed for rallying in Africa, with heightened suspension, massive amounts of crankcase protection, external handles, extra spotlights, etc. 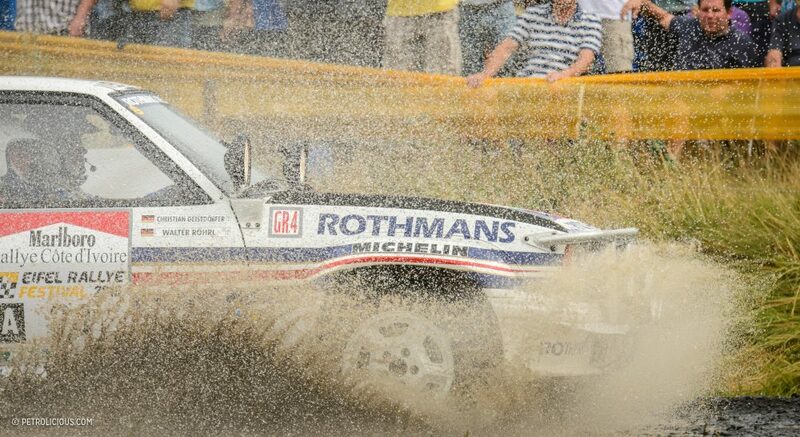 After the success on the Ivory Coast, the winning Ascona went back to Germany where it was used as a scout and chase car for the Rothmans Opel Rally Team in the 1983 Safari Rally before it was sold to a German privateer living and working in Kenya. 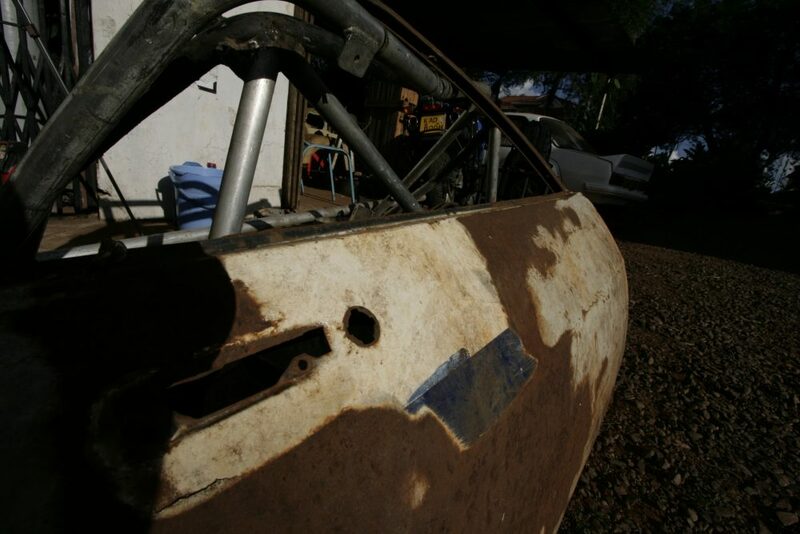 After that it was raced often by various drivers in the Kenya National Rally Championship (KNRC), until about 1990. 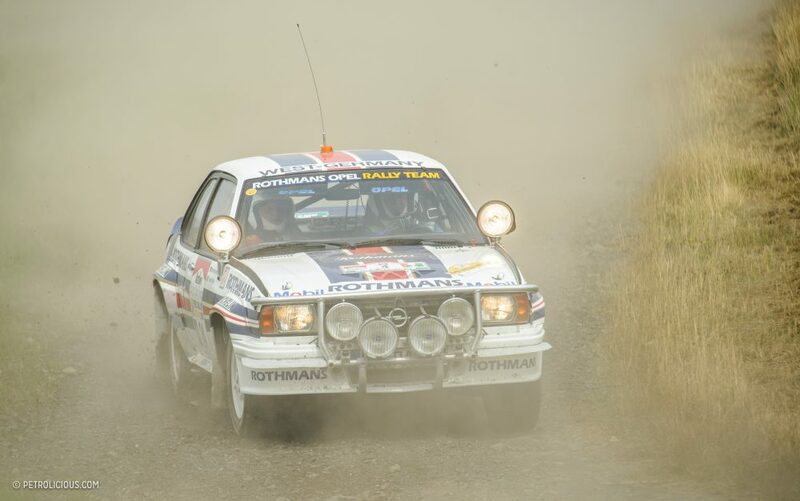 Than the Opel Ascona RA40 ended up in Uganda until Mr. Daljit Chager (father of 2014 Kenyan Rally Champion Baldev Chager) bought the car to bring it back to Kenya. 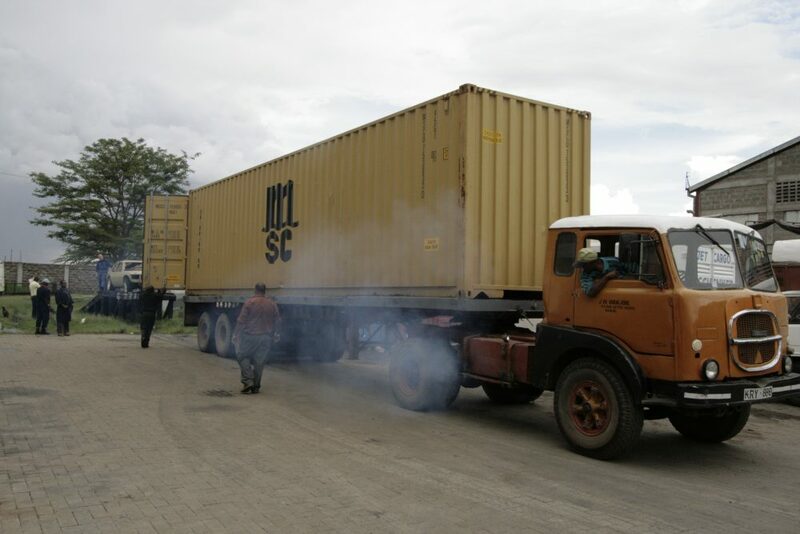 A typical story of many other ex-Group 4 and later Group B cars which stayed in Africa after their official task in hands of the factory teams was over. So, the trace was lost in the early nineties, and the largely ruined car was parked in a shed, forgotten on Chager’s estate. 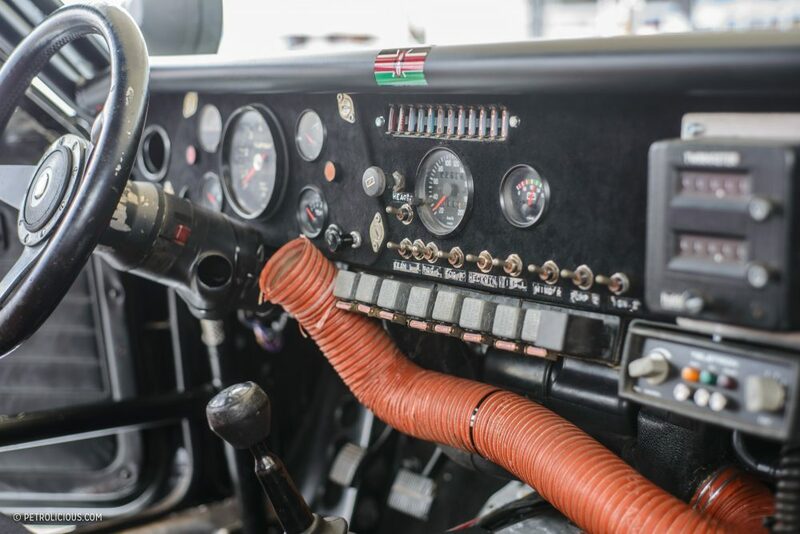 RA 40’s second life started many years later in 2005, when the car was mentioned in a discussion among rally fans enjoying some beers after the East African Safari Rallye Classic. 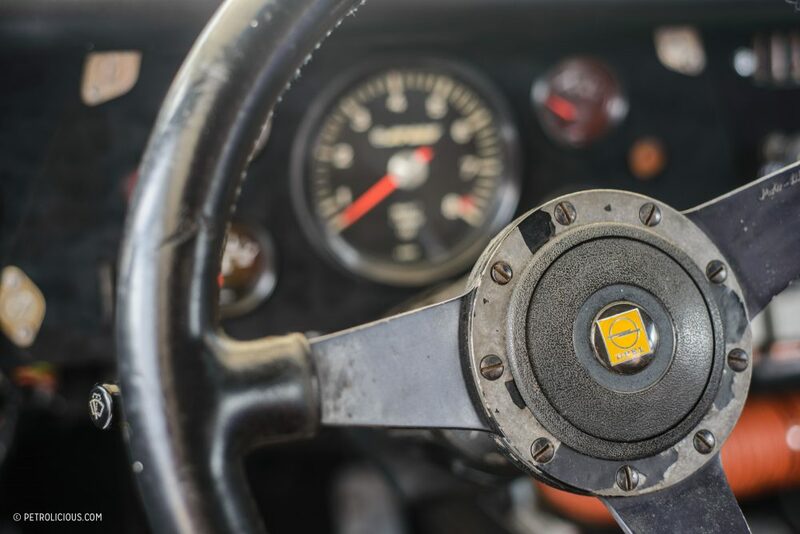 Ralf told me it took six years to meticulously restore the car, while preserving as much as possible from the original parts and patina—even the red sand from Africa is still visible in the wrinkles of the upholstery! 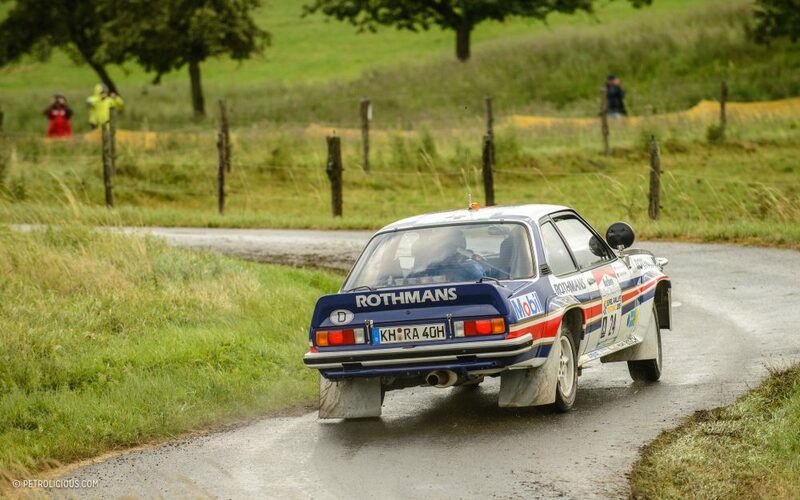 I first saw RA 40 during the 2015 Eifel Rallye Festival, and I had a few hours of conversation with Ralf about the unbelievable history of RA40, a car that Ralf is not afraid to drive sideways past the cheering crowds at historic rally races. It is a historically significant machine for a number of reasons, but my favorite part of the whole story is one of the lesser-known minor details. 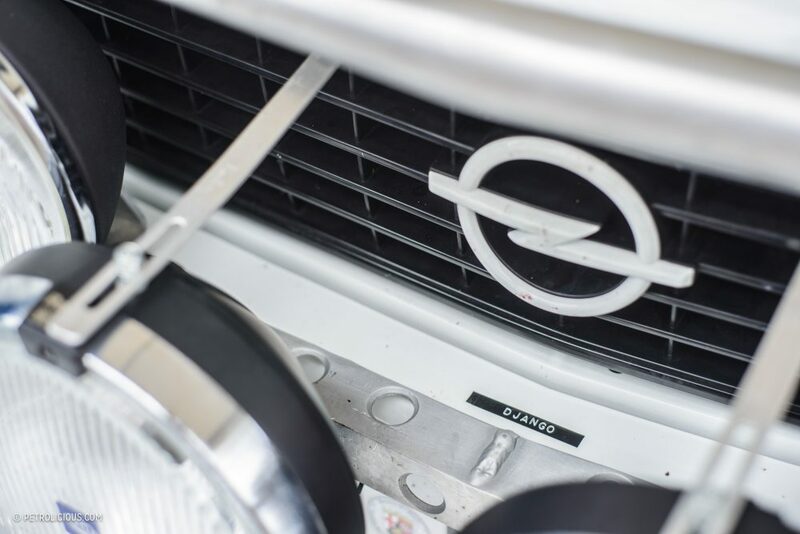 All Opel factory cars wore a small plastic label with their nickname, and during the restoration of RA40, a period photograph revealed that this car was named Django. 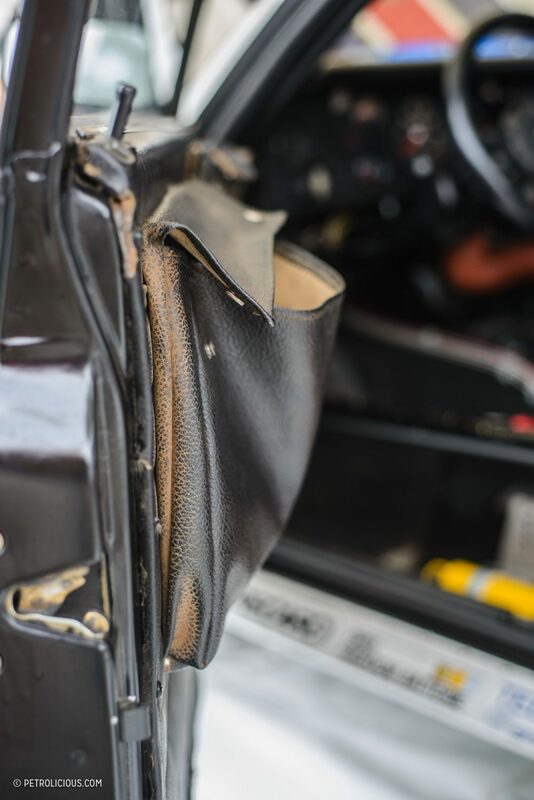 It’s these little pieces that typically get erased over time, but in this case it hasn’t been forgotten, and it’s representative of the levels of care and accuracy that have gone into this remarkable rally car.